A baby – the tiny beginnings of a huge spirit! All through life some of the best things are under our eyes and we do not see them . Coming to death there is a slow journey often and growth is happening under the ground. We are being grown by God always if only we would let him do it. And how we help others grow – You may not know – the faith that grows in your children. Different in specifics from you maybe. Or the way they are taught to love and it comes out in the next generation. Seeing love in a marriage and learning from example to forgive, to live in peace with each other. Seeds are sown and grow – how to love and forgive, how to share with our neighbour, how to face death. When we remember our dead, what comes to mind is what they taught us about life. A lot of the best in life is waiting. For birth – can’t you hurry it. Or death. 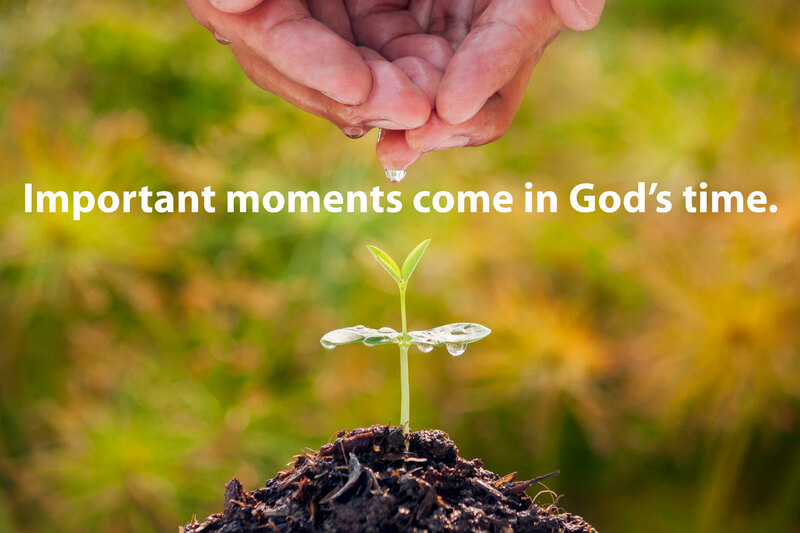 Important moments come in God’s time. So much of life is on trust. This entry was posted in Gospel of Mark, Gospel Reflection, Liturgy Resources, Prayer Resources, Scripture, Year B and tagged 11th Sunday Ordinary Time Year B, disciples, Donal Neary SJ, God's time, Gospel Reflection, growth, Jesus, June 14th 2015, Kingdom of God, Love, Mark 4:26-34, mustard seed, parable, seeds, Sunday Gospel Reading and Reflection, Teaching of Jesus, Trust, waiting. Your gospel reflections always make my day! Your emails are full of wisdom and hope. Though as a human I sometimes steer away from my faith, your weekly reflections always bring me back and allow me to connect with our Lord. I want to thank you for putting so much time an effort in these reflections. Thank you so much for your lovely comments. They are really appreciated. Hi there it is so nice..